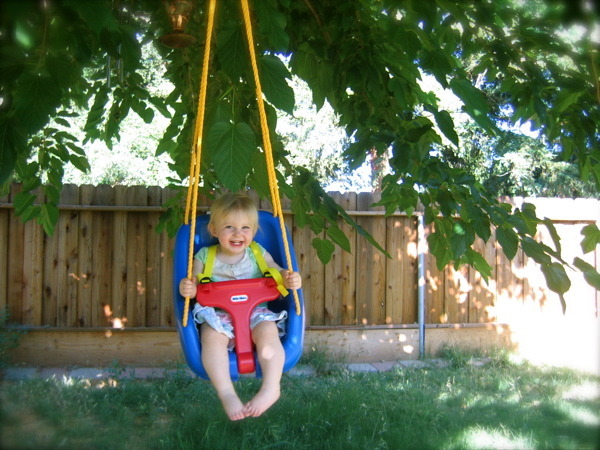 Delta S: Someone has a swing! Good observation, TAB. I agree!! You know...she could be a child swing model. And someone looks pretty happy about it! Too cute. I can't believe how fast she's growing up.